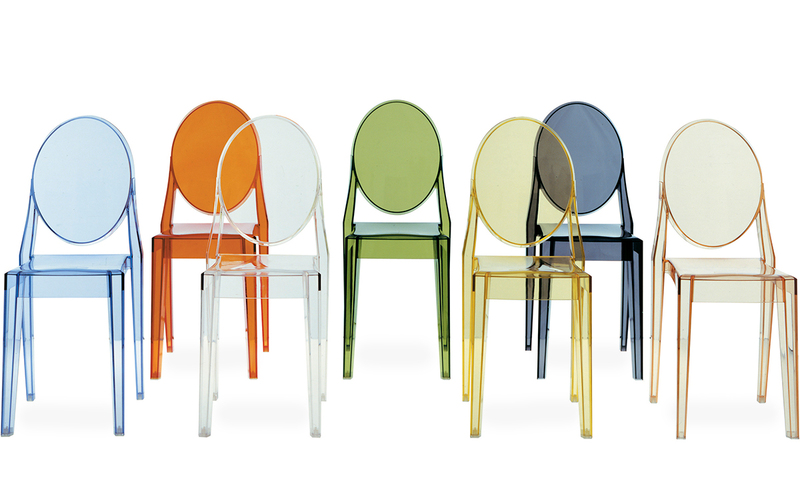 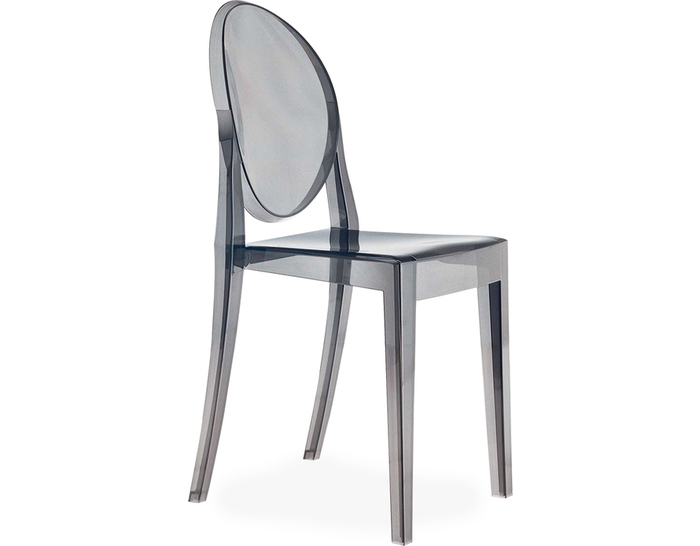 A chair designed following the classic lines of the Louis Ghost chair. 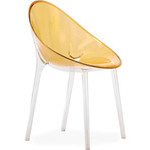 The backrest is rounded, the shape evoking that of antique medallions; the simplicity and essentiality is that of the La Marie chair: the shape of the seat is more linear and geometric. 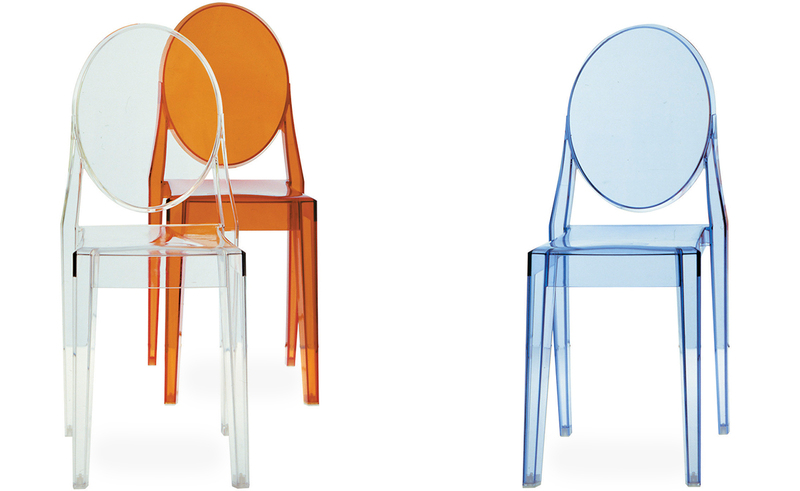 Victoria Ghost is produced in clear or colored polycarbonate and is manufactured through single injection molding. 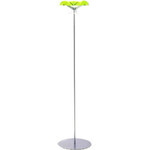 It is stable, comfortable, resistant to impact, scratches and atmospheric agents. 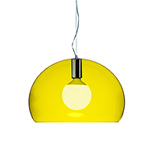 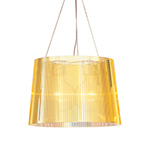 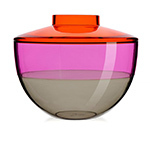 Victoria ghost is suitable to use indoors or outdoors and available in your choice of colors. 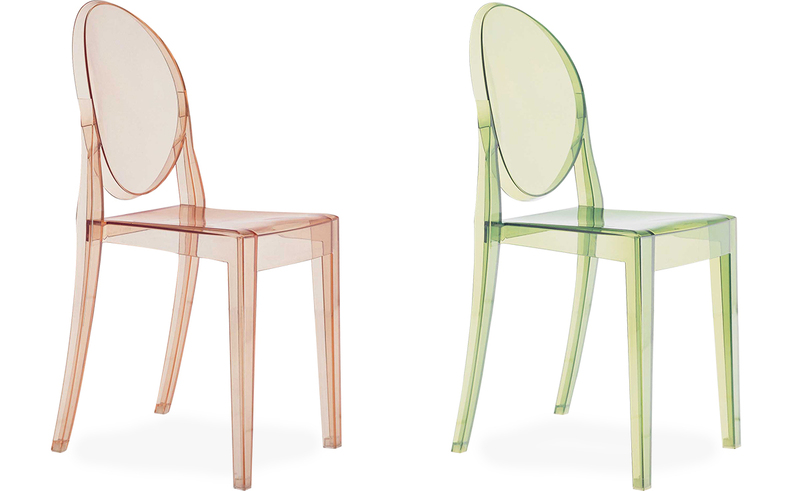 Sold in sets of two chairs of the same color. 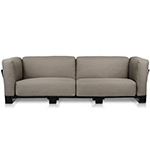 $740.00 + free shipping in the continental U.S.